Project Coordinators and have to do a lot of record-keeping, scheduling, and other more ‘administrative activities’. And the one who develop System Requirements Documentation complete with accurate UML and Scope Matrices broken down into functional components, mapping them directly to Test Cases. Prior to my most recent position and prior to my focus on consulting, I interviewed for a full-time PM position at a company that made a software product. The interviewee stated her belief that Project Managers were soft-skill professionals. We ended the conversation soon thereafter, but in the case of their organization, it was true. The PM spent their time learning the new release and keeping customers up to speed, helping with implementation, documenting specs, doing whatever otherwise would have fallen through the cracks or would not have been fielded by another staff member. I very much enjoy the discipline of documentation. Even in my personal life, if something is bothering me, I take the nebulous ickyness that I am feeling and try to break it down. The soup of unhappiness becomes a list of items that I can address. I can manage a list. I cannot manage soup. There are many flavors of Project Managers. 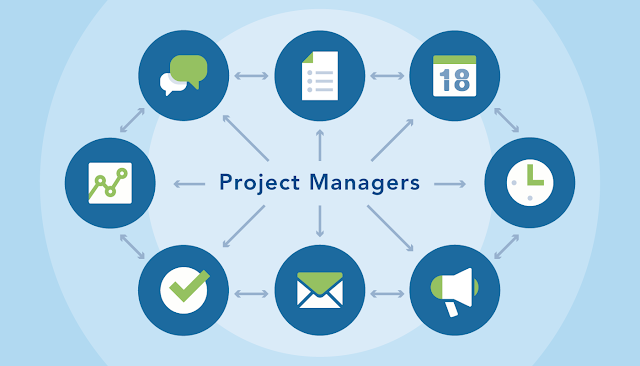 You have your PMP professionals, your Prince certified professionals, and your “accidental” Project Managers who pick up skills, tools, and knowledge as they evolve. I am proud to be an accidental PM because I was a business person first and learned the art and science and discipline of Project Management from a business person’s standpoint. This is invaluable when dealing with customers. Just like there are “paper MSCEs” there are “paper PMPs” and while they have a great foundation, there is nothing quite as effective as being in the trenches, dealing with day to day operations and in the case of software, seeing things break for no good reason and having to hunt for 12 hours because of a misplaced semicolon. Processes are not cut and dry. We can extrapolate and we can generalize, but just as human beings are developed in an iterative fashion, interacting with the world, Project Management has intrinsic iteration. You have to be involved with the project. You cannot sit behind a desk and move around bars in MS Project. Being able to understand process and in my case, software development skills? I don’t think so. If I worked in a toothbrush factory, I would have had the same opportunities to be involved with projects as I have had within the software vertical. I would not, however, know software. But again, just like soup, PMs come in different flavors. If you are hiring one, pick one who best fits your corporate culture. The skill sets we possess are not terribly difficult to learn. What is difficult is the application of said skill sets.